If you plan on visiting the Magic Kingdom this Spring or Summer you’ll see a very active construction project going on. 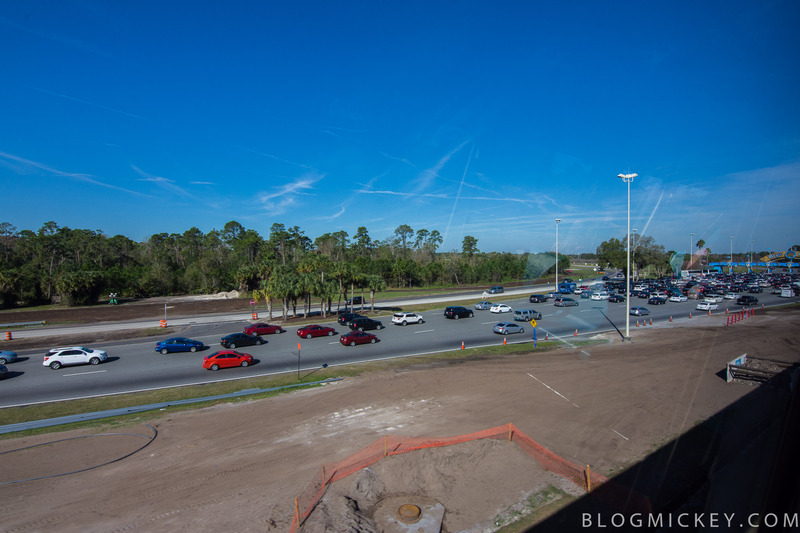 A new flyover is being constructed that will allow traffic going to the Magic Kingdom area resorts to bypass the parking toll plaza completely. Seen here is some construction equipment staged near the Mission: SPACE billboard. Proceeding closer to the toll plaza, we can see trees have been cleared near the It’s Tough to be a Bug billboard. 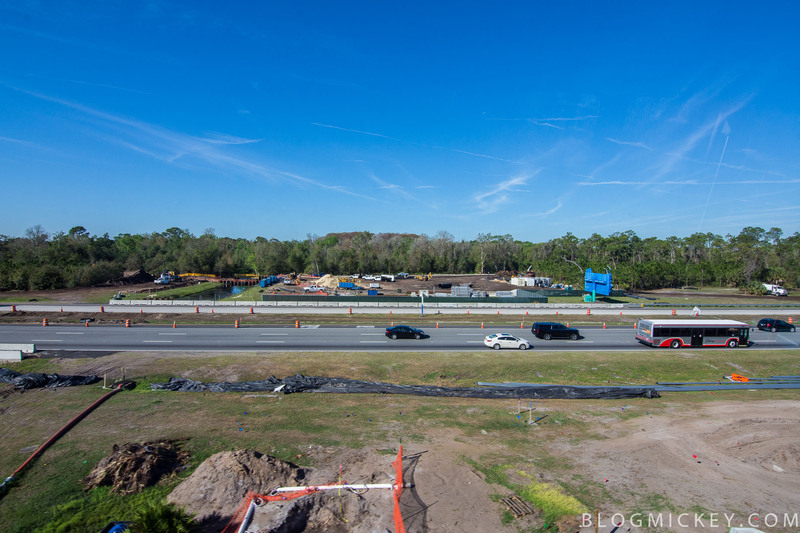 The area near the billboard will contain a drainage pond and an exit flyover from World Drive South coming from the Contemporary. There will also be a shift in World Drive Southbound, likely requiring the removal or relocation of the billboard. Finally, we can see some clearing being done short of the toll plaza. 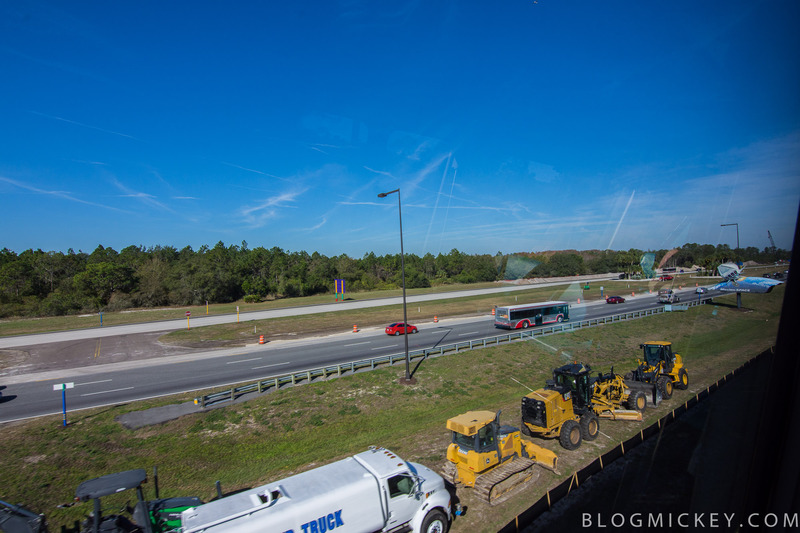 The land in the immediate foreground would be an off-ramp leading to Fort Wilderness and Vista Boulevard. Here are the plans submitted to the state. 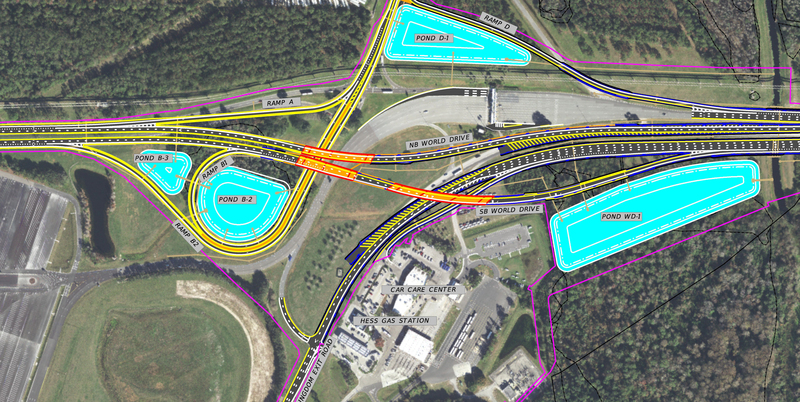 In it, we can see that World Drive southbound will be shifted West (down in the picture), and the flyover to the Magic Kingdom resorts area will be to the left (or West) of the current toll plaza. It’s expected that the entrance into the Magic Kingdom parking lot will remain largely unaffected.